In this world there may be tens of thousands of motorcyclists who owe their lives to Stuart Munro, the recognized godfather of rider training in North America. Stuart was passionate and relentless in his campaign to introduce a comprehensive training program to the rapidly growing community of novice riders who were at risk of becoming accident statistics as the baby boom generation adopted motorcycling. Thanks to his initiative, classes that began in a parking lot in Ottawa in 1967 now have evolved and spread from coast to coast in Canada and throughout the United States. Stu, to everyone who knew him, was an extraordinary man. As a teenager in Scotland, he entered military service during the Second World War by lying about his age and was sent into combat in Italy. Later, and still before turning 20, he was sent to Japan to guard war criminals, many of whom were royalty or high ranking officials. Stu set out to communicate with these elites of Japanese society and gained insights into their culture and philosophy that remained with him the rest of his life. It was a life in which curiosity and a desire to learn and to impart knowledge were the driving force. This passion for communicating with others gave Stu great persuasive powers that helped him enlist the co-operation of the government departments, other agencies, industry and individuals whose help he needed to deliver a motorcycle training program across a vast but thinly populated country. While those same agencies are largely indifferent to motorcycling, Stu’s conviction proved an irresistible force. His contribution has been summed up as being “the right person in the right place at the right time.” Stu used his background in military and civilian motorcycle training in Britain to write the first syllabus for a Canadian motorcycle training course in late 1966. In January, 1967 he conducted the first novice course for prospective instructors in Ottawa using three lightweight Suzukis he had arranged through a friend who worked for the importer. The bikes were nicknamed Faith, Hope and Charity. Stu confided that training 30 novice instructors was like herding cats since motorcyclists then and now were all individualists. To present the graduation certificates Stu persuaded a politician and former motorcyclist to do the honours; he was the recently appointed federal Justice Minister and future Prime Minister, Pierre Elliot Trudeau. While working as a vehicle safety advisor for Transport Canada, Stu enlisted the support of the Ottawa Carleton Safety Council to make training available to local riders through the late 1960s. He approached the motorcycle industry to provide support for the loan of motorcycles through its member companies and their dealers. After much lobbying on Stu’s part, in 1974 Transport Canada agreed to provide seed money of $750,000 for the Canada Safety Council to fund the development of a national rider training program. It was a substantial sum in that era and Stu referred to it the “National Dream,” after the famous 1970 book by Pierre Berton which documented the history of the Canadian Pacific Railway. Known today as Gearing Up, the course today is operated from coast to coast and trains 20,000 novice riders a year. It also provided the foundation for the program offered in the U.S. by the Motorcycle Safety Foundation, which was launched by motorcycle manufacturers in 1973. Stu trained Adam Johnson, MSF’s first director of licensing, as a chief instructor in Ottawa in January, 1974. They later worked together on developing a rider training program and licensing test for MSF. 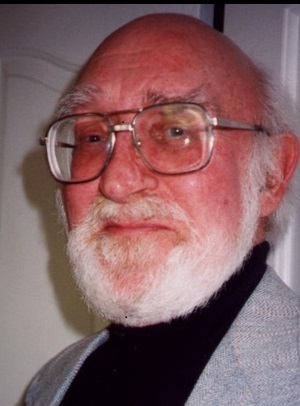 Stu recommended the late Peter Fassnacht as an MSF intern and Peter later went on to become vice-president of the organization before his untimely death. Stu was invited to join the steering committee for MSF’s first international motorcycle safety conference, held in Washington, D.C., in 1980. Keynote speaker at the conference was the famous researcher from the University of Southern California, Prof. Harry Hurt. The Hurt Report, which carefully documented 900 accident scenes, was published in 1981 and has been called “the most comprehensive motorcycle safety study of the 20th century.” Another speaker at that conference was Allan Johnson, who was presented by the Canadian Motorcycle Hall of Fame with the Bar and Hedy Hodgson Award in 2011. Stu spent what he described as a brief and unhappy period of six months as director of communications for MSF in 1990 before parting ways involuntarily. His extraordinarily high I.Q. of 185 that sparked such effective communications also brooked no nonsense or woolly thinking, and perhaps conflict was inevitable. Back in Canada he moved west, first to Saskatchewan where he was director of news and communications at the University of Regina, and later to the coast, where he enrolled in a course in English literature at the University of British Columbia. Over many years Stu was the author of numerous published articles in Rider and Cycle World magazines on motorcycle history and rider safety, often under the pseudonym of Joseph E. Bloggs. He also served as editor of the newsletter for Mensa Canada, “a support group for bright people,” as he called it.